Styled with yacine knit top and cherrelle jacket . 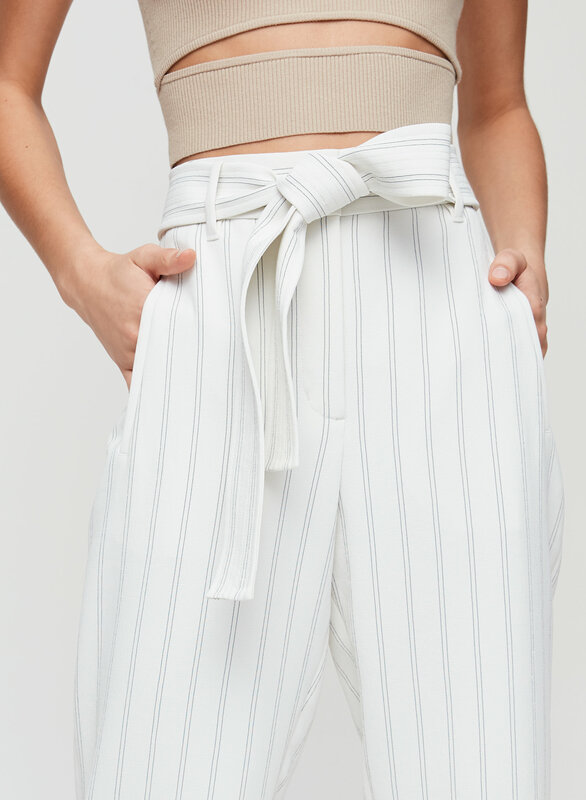 I’m so in love with this trouser that I own multiples! This is such a flattering style that looks great on all body types. 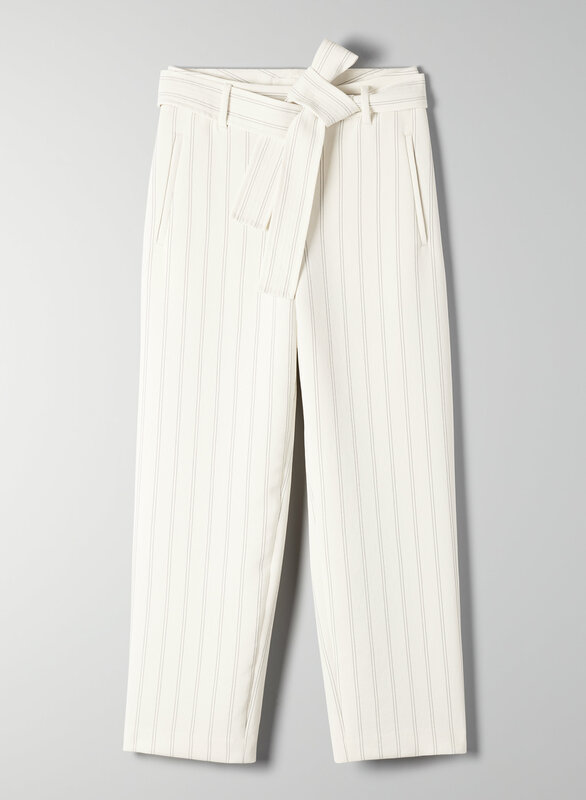 It’s also very easy to wear casually, dress up, or wear to work - makes for a super versatile trouser. I own many different versions of the Jallade pant in both heavy and light fabrics, each in a few different colours. I would definitely recommend sizing up for them though, as the waist is quite snug. Usually I wear a size 25 jeans/ size 2US in trousers, but for this specific style I wear a size 4. 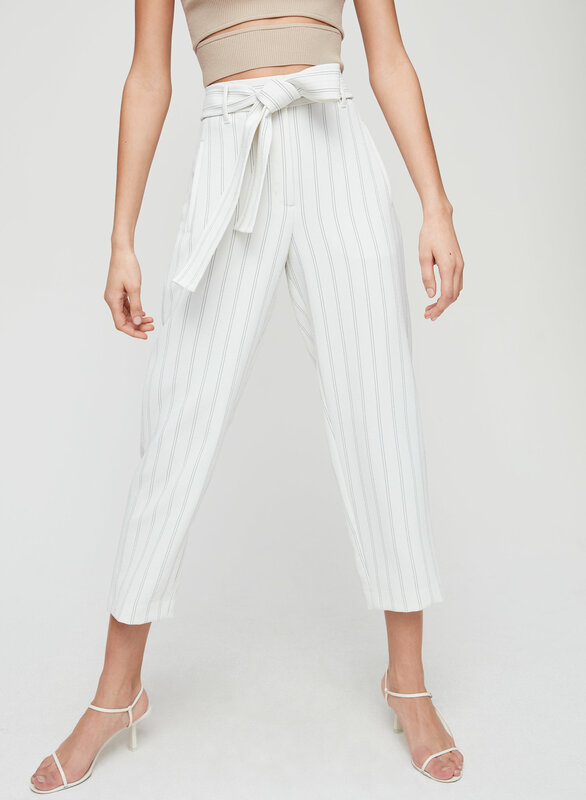 I sized down for this pant, and it was a great fit! Not too loose on the thigh area. These pants feel so good. Light-weight and easy to wear. The stripes are flattering. The have a nice flow to them. I am a size 6 and it fit me true to size (exactly as per the size chart on the website).